Escape the urban bustle at Dolphin & Whale Watching and Ocean City Beach. You'll get in some beach time at Rehoboth Beach Public Beach and Cape May City Beaches. Get out of town with these interesting Ocean City side-trips: Wildwood (Wildwood Beach & Original Old Time Photo), The Wetlands Institute (in Stone Harbor) and Indian River Inlet Bridge (in Bethany Beach). There's much more to do: admire the majestic nature at Cape Henlopen State Park, see the interesting displays at Ocean City Life-Saving Station Museum, and stroll through Dewey Beach. To see where to stay, other places to visit, maps, and tourist information, use the Ocean City attractions planner. 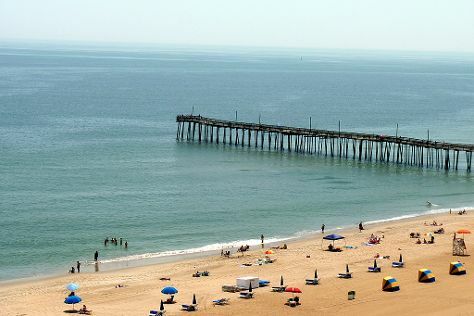 In July in Ocean City, expect temperatures between 84°F during the day and 70°F at night. Wrap up your sightseeing on the 29th (Mon) to allow time to travel back home.